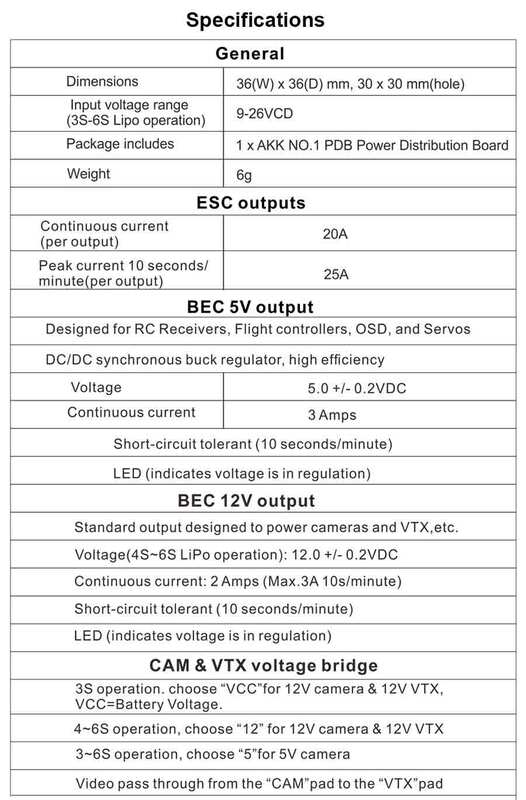 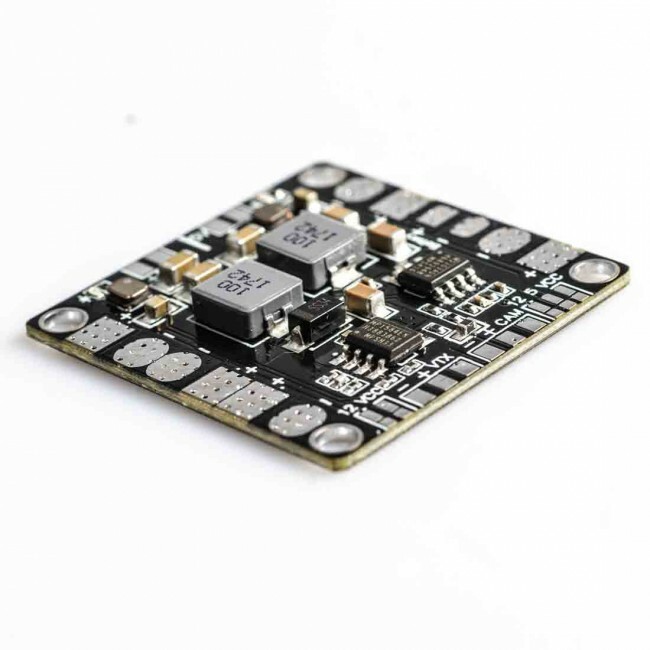 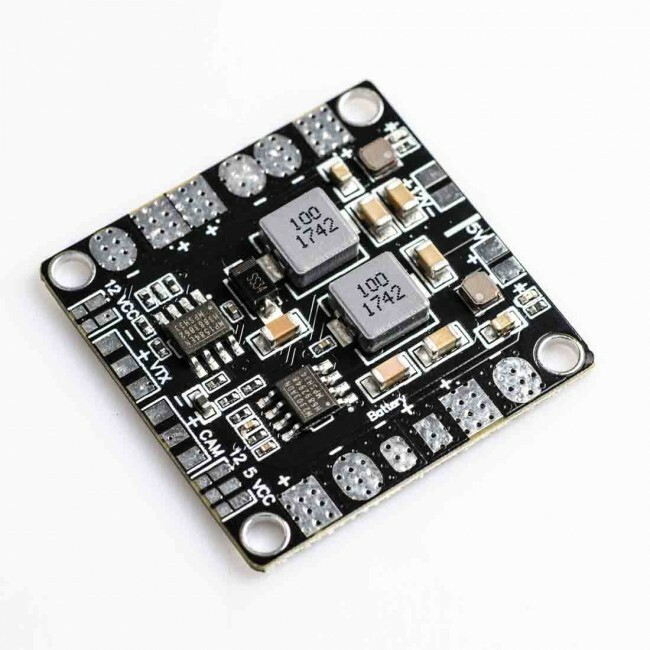 DC outputs for powering cameras, servos, VTX, LEDs, etc. 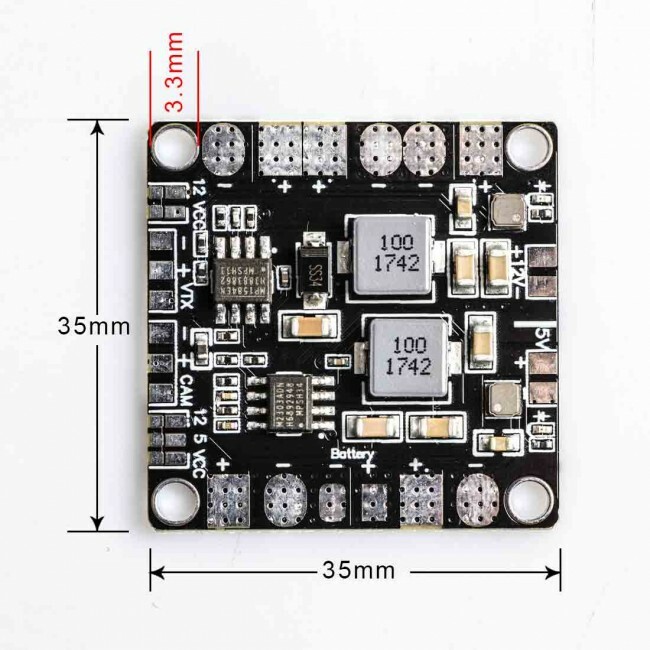 Batteries may range from 3S to 6S LiPo. 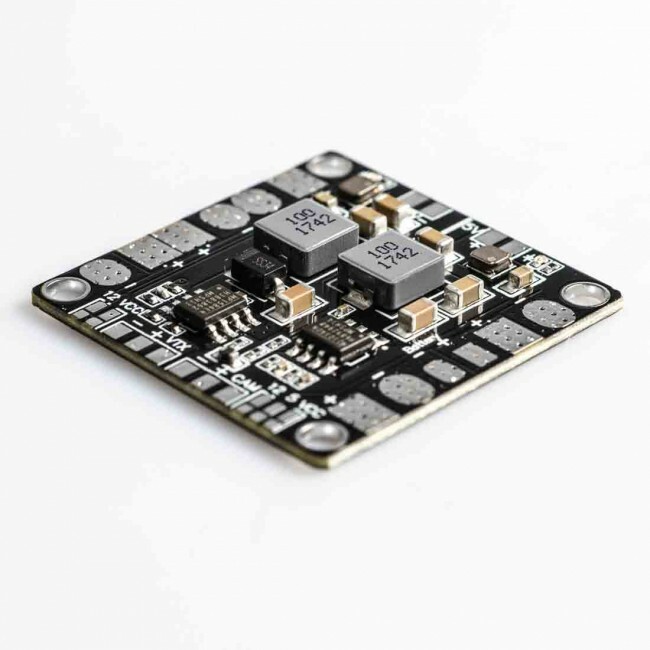 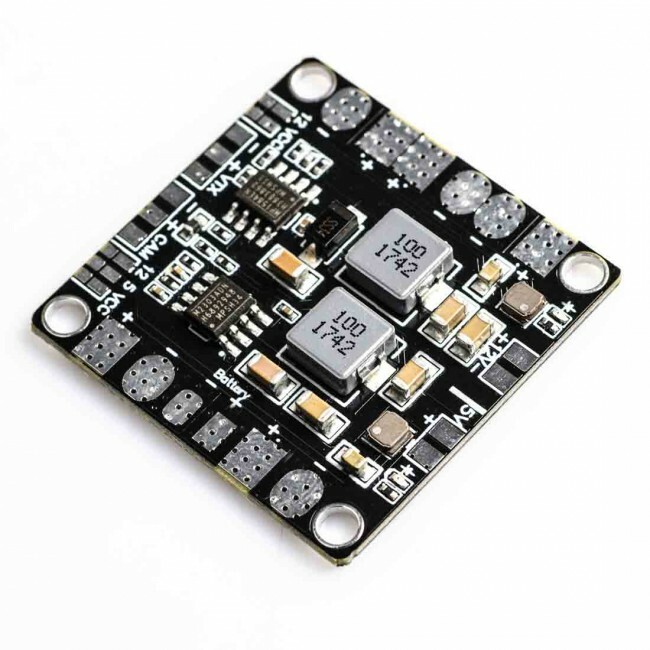 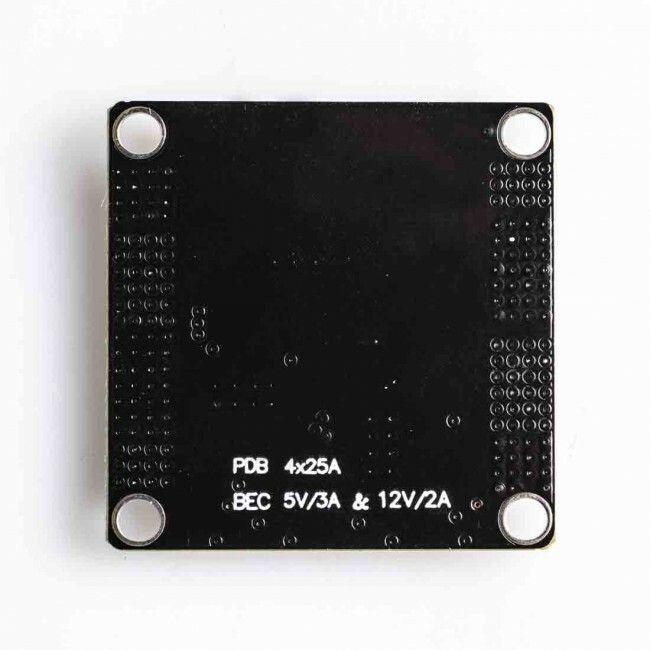 It also features convenient solder bridge of various voltage for camera & VTX. 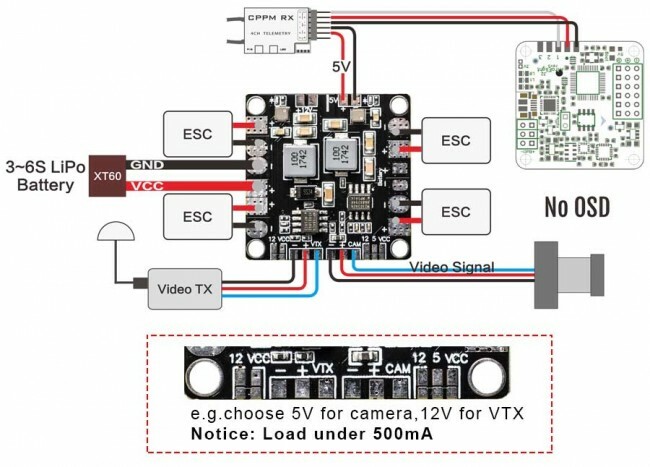 Solder Bridges of various voltage for Camera & VTX.